The Azerbaijani delegation signed several agreements during a visit to the Turkish Republic of Northern Cyprus (TRNC), Trend reports quoting Turkish daily Kibris Gazetesi. 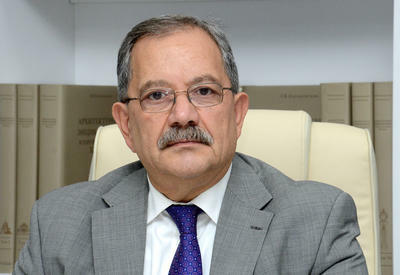 A protocol on the establishment of the Azerbaijani-Cypriot Council of on trade and assistance to investments is among them. The document was undersigned by the head of the Fund for Investments Promotion and Consultations at the Ministry of the Economic Development, Emil Mejidov, and the President of the Chamber of commerce of TRNC, Salih Tunar. The protocol also envisages promotion of goods turnover and exchange of services, stimulation of human flow, joint forums of entrepreneurs, organization of exhibitions, as well as support to the entrepreneursвЂ™ activities. 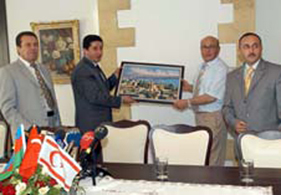 The same time the Azerbaijani business delegation held a meeting with the President of the Chamber of Commerce of the Northern Cyprus, Ali Erel.